Tron, the owner of BitTorrent and platform for building decentralized apps, published its Dapp weekly report on the first day of March in which it highlighted the fluctuations, growth rate, and the overall state of its Dapp ecosystem. Coincidentally, the growth rate of new Dapps and the number of smart contracts both increased by 5.9 percent. The number of smart contracts on the Tron blockchain reached 448, a 5.9 percent growth rate. 10 new Dapps were also added to the ecosystem. 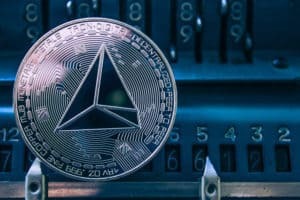 The number of Tron’s Dapp daily users has remained relatively stable although it has fluctuated between 40,000 and 50,000 in the last few weeks, according to data from Tron Dapp House. Tron has put a number of more complex Dapps on its development agenda, and as a result, more Dapps with a variety of gameplay and higher maturity will be launched in the second quarter. Currently, an average player spends approximately $102 per day on Dapps games, a figure significantly higher than on traditional games. This means that Dapp players have a higher probability of paying for games. This reason for this fact has nothing to do with a better gaming experience but the profits the player stands to make simply by playing games. The report noted that the hype for gaming Dapps is fading and causing the average spending on games to take a knock. However, this has opened a new opportunity for other Dapps to enter the market. DDEX, which has a partnership with Tron released a beta version of its decentralized exchange (DEX) on Tron’s blockchain protocol. This marks DDEX’s second DEX after it launched its first on Ethereum’s blockchain. While this adds one more step, the decentralized exchange provides improved security and better user experience. PokerBots is the first Dapp to be introduced this week. Users have their own robots which they can set to two basic parameters – aggressiveness and tightness. The players then sit back and watch as their robots match up against other players’ robots. Each game lasts 10 rounds and users are rewarded TRX for winning. The next Dapp is CryptoTycoons, a gaming platform created by a team of Korean developers. Three games – Dice, Odd & Even, and Roshambo – have been launched on the platform. The platform plans to add more games in the future. This is a comprehensive game with a beautifully designed user interface. The last game to be introduced is Flappybirds – a new version of the traditional Flappybirds game but with a blockchain incentive model. The game also launched its own token which can be used for dividends. Tron Dapp Weekly Report: Dapps and Smart Contracts Experience a Growth Rate of 5.9% was originally found on copy trading cryptocurrency | Blockchain News | Bitcoin News | blokt.com.